Bahrain has postponed its plans to adopt nuclear energy as a source of power by 2017, according to sources familiar with the matter. Former Electricity and Water Affairs Minister Fahmi Al Jowder had earlier announced that experts were being brought in to study the move and set up facilities in conjunction with other Gulf countries. But speaking on the sidelines of the three-day Renewable Energy Forum at the Regency InterContinental Bahrain yesterday, sources confirmed the proposals had been sidelined. "That project will not happen by 2017," they said. Hundreds of scientists, high-ranking government officials and leading businessmen and women from around the world have gathered to help Bahrain draft a practical strategy for going green. They will discuss the technical and legal aspects of renewable energy and ways to develop a strategy for Bahrain, as the event concludes today. Keynote speaker German University of Flensburg director of energy and environmental management in developing countries Dr August Schlapfer was sceptical about whether Bahrain could adopt nuclear power. "When people say nuclear power is clean, it is true - if you look at a ready built and running plant. But when you look at a nuclear power plant you have to know that the facility itself, and the mining that happens to supply the radioactive material, have a huge footprint," he said. "Safety is always a concern. Although the risk of a catastrophic failure is minimal, it has dire consequences - for example, look at the Japanese power station." 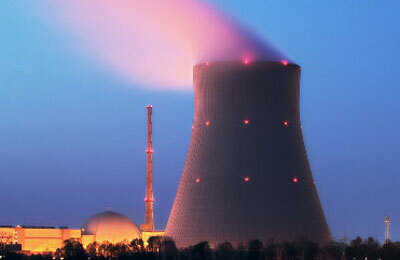 Dr Schlapfer said Bahrain's lack of expertise in the field and resources would hinder any plans to adopt nuclear energy. He also questioned the cost-efficiency of the plan. "The price of the facilities itself are not stable. For example, the Okiluto facility was first priced at $4 billion but the actual cost came out to be about $7 billion. So there is a huge cost associated with the start-up, not to mention the fact that it takes around 15 years for a facility to be built," he said.